Waldlaufer Garda 210004 women's velcro sandal. Manufactured from a soft leather upper with cut-out and metal disk detailing. Fully adjustable, over the toes and over the instep, allowing for the perfect fit, while the press stud heel strap adds further adjustability. The wide G width fitting makes it ideal for those ladies who need a wider fitting sandal. It also has removable insoles, making it great for orthotics or very wide feet. 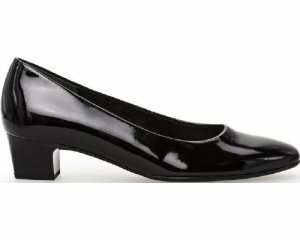 A raised heel adds a slight height boost, step into comfort with Waldlaufer Garda 210004!